Today we were headed for Vasaliki Port – via the Papanikolis Cave on the other side of Meganisi. 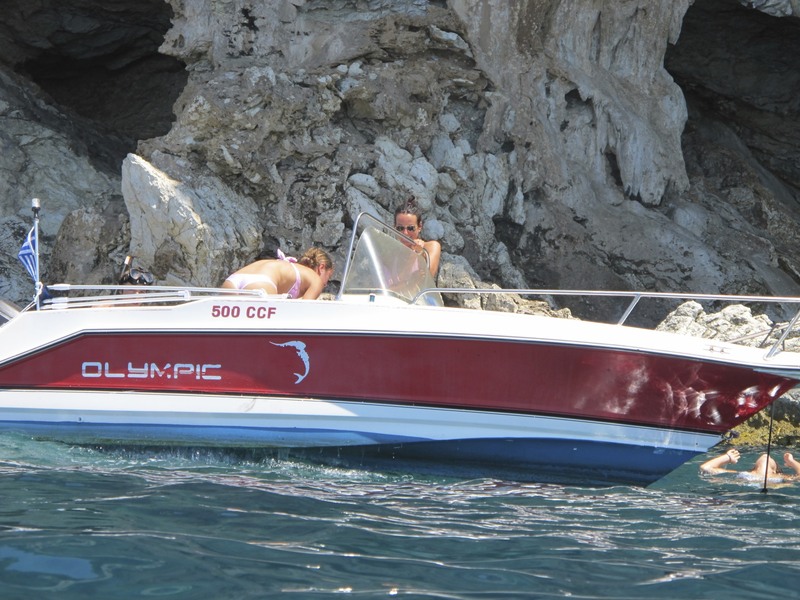 Me, Harry, Joe and Dad got motored into the cave via our small dingy. We could see bats flying around in the dark. Then we had a rough couple few hours of sailing through choppy seas. We were tacking through (completely using the wind). 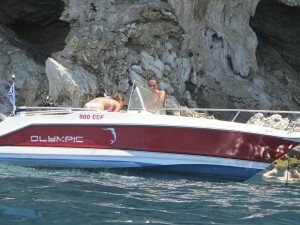 Here is a photo taken by Joe of another boat by the caves. When we got to Vasaliki bay Mum accidentally dropped two fenders (buoys) into the sea. Me and Harry dived in to get them. It was tough trying to swim back to the boat against the waves whilst holding a fender. We finally got into the port, only to find that there was only one space left. It was painfully tight so we reversed slowly. A few Englishmen on land helped us in by slacking their lines to create more room for us. We eventually got in!